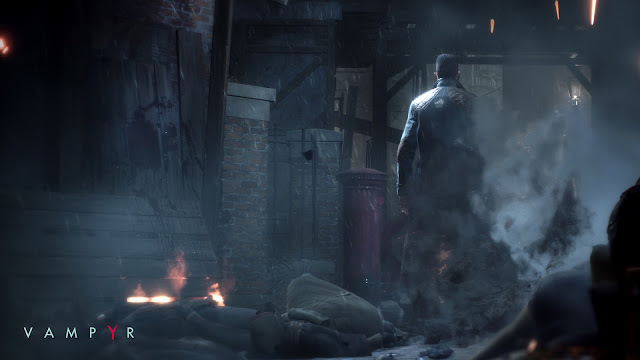 Vampyr, Dontnod Entertainment’s narrative-driven action-RPG set in 1918 London, announces a content update coming later this summer on PS4, Xbox One, and PC. This will include two new game difficulty modes which add further replayability for existing players and more options for those who haven’t yet sunk their teeth into this dark adventure. As well as bringing a host of optimization tweaks, the upcoming update will introduce a ‘Story mode that de-emphasizes combat and a cranked-up, more challenging Hard mode. The Story mode places a greater focus on narrative, allowing players to experience Dr. Reid’s journey with less challenging combat. On the other end of the scale, Hard mode makes combat much more difficult. Players will receive less experience from killing enemies too, forcing them to rely even more on embracing citizens to grow in power. Vampyr is out now on PlayStation 4, Xbox One and PC. To order the game and for more details, visit vampyr-game.com.